Are you new to the Parish? Come and learn what St. Elizabeth Seton is all about! 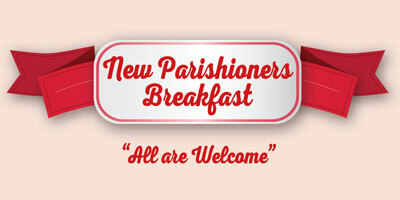 We host the New Parishioner Breakfast every quarter. If you have not registered, please fill up this form. Meet our clergy. Learn about our different programs and different ministries and join us for a quick tour of our church after brunch. Download a booklet of Our Church Treasures ​to learn about the many treasures of our faith hidden in plain sight inside our beautiful church. Help us make this an amazing parish!